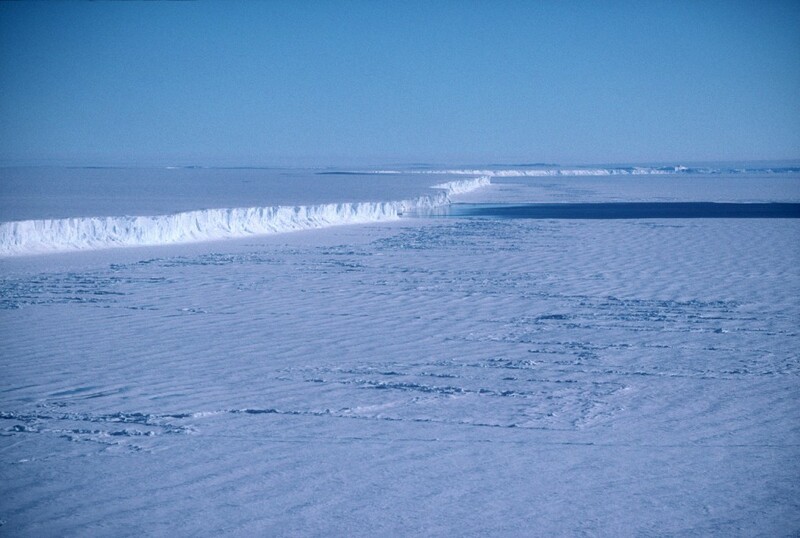 Edge of the Ice shelf being fed by the West Antarctic Ice Sheet.  This image is associated with the 2005-2010 BAS science programme: GRADES- Glacial Retreat in Antarctica and Deglaciation of the Earth System. The scientists compared the rates of change in elevation of both fast-flowing and slow-flowing ice. In Greenland for example they studied 111 fast-moving glaciers and found 81 thinning at rates twice that of slow-flowing ice at the same altitude. 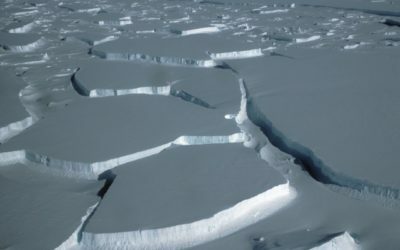 They found that ice loss from many glaciers in both Antarctica and Greenland is greater than the rate of snowfall further inland. 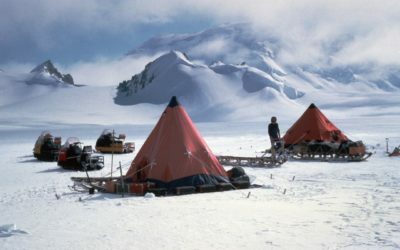 In Antarctica some of the fastest thinning glaciers are in West Antarctica (Amundsen Sea Embayment) where Pine Island Glacier and neighbouring Smith and Thwaites Glacier are thinning by up to 9 metres per year. 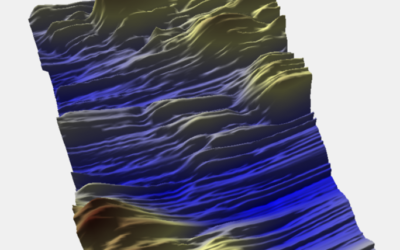 Extensive dynamic thinning on the margins of the Greenland and Antarctic ice sheets by Hamish D. Pritchard, Robert J. Arthern, David G. Vaughan & Laura A. Edwards is published online this week in the journal Nature (Advanced Online Publication). The team used data from NASA’s high-resolution ICESat (Ice, Cloud and Land Elevation Satellite). Launched in January 2003, ICESat was sent into a polar orbit to examine changes in the world’s ice and land masses — particularly ice mass balance — as well cloud and aerosol height. The satellite’s lasers have measured the surface elevation of the Earth’s ice sheets with unprecedented accuracy. The satellite’s repeated passes over both poles create a wide net of coverage, and contribute to a long-term time series of topographic changes. For the first time scientists can see the elevation change over the whole of the Antarctic Peninsula, and that glaciers in this area have the highest rates of thinning recorded in Antarctica or Greenland. A glacier — is a ‘river of ice’ that is fed by the accumulation of snow. 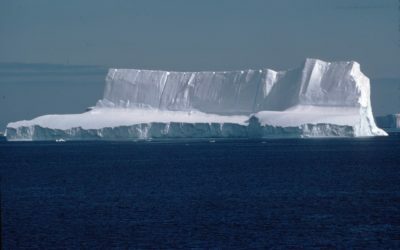 Glaciers drain ice from the mountains to lower levels, where the ice either melts, breaks away into the sea as icebergs, or feeds into an ice shelf. Ice sheet — is the huge mass of ice, up to 4km thick that covers bedrock in Antarctica or Greenland. It flows from the centre of the continent towards the coast where it feeds ice shelves.